Rind fragments of squash were found in Koster, Illinois. 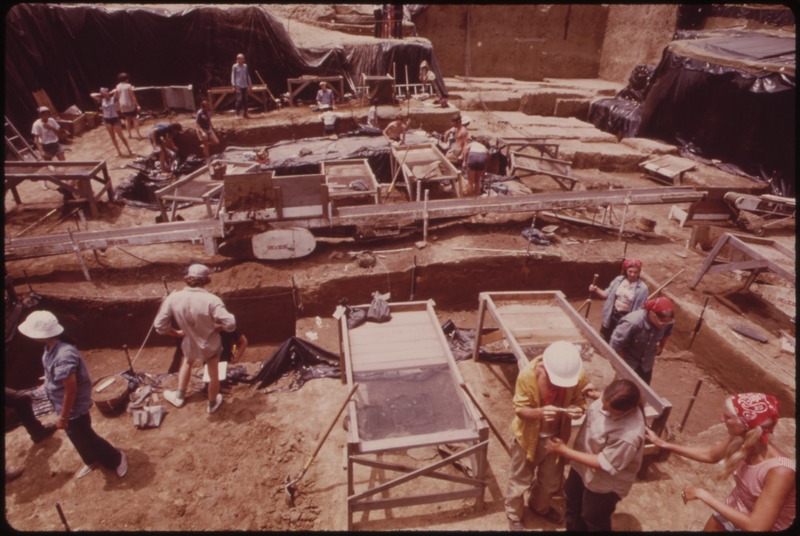 Some of the oldest evidence of the use of ground stone for food preparation was also found at this site. Barker, Graeme. 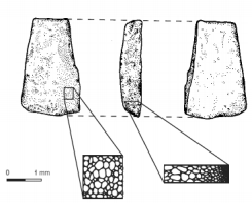 “Foraging and Floodplain Weed Cultivation in Eastern North America.” The Agricultural Revolution in Prehistory: Why Did Foragers Become Farmers? Oxford: Oxford UP, 2006. 239. Print. 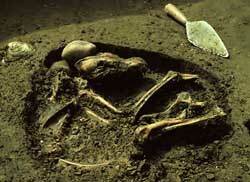 The Koster site is also known for revealing one of the earliest instances of dog burials/domestication as well as established cemeteries for lovesd ones.